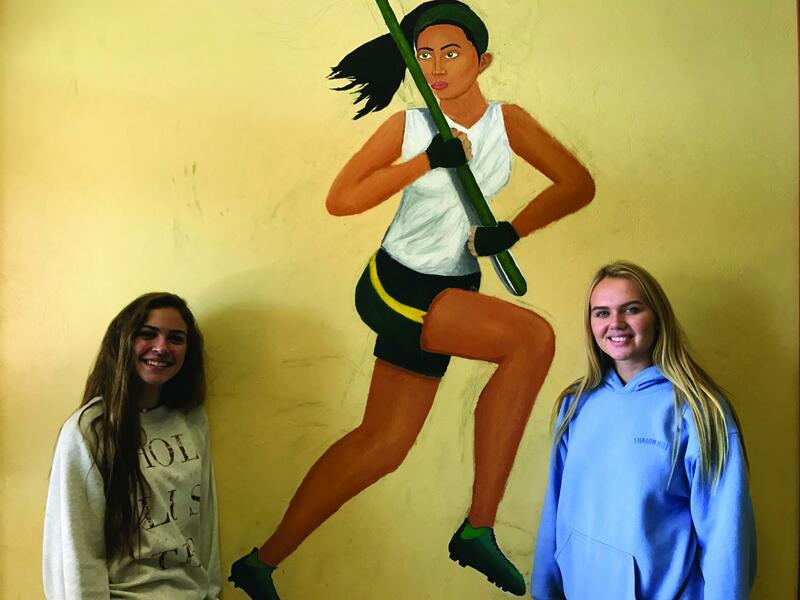 For the last two years, art students have been working on completing the athlete murals in the gym hallway and they are expected to be finished soon. 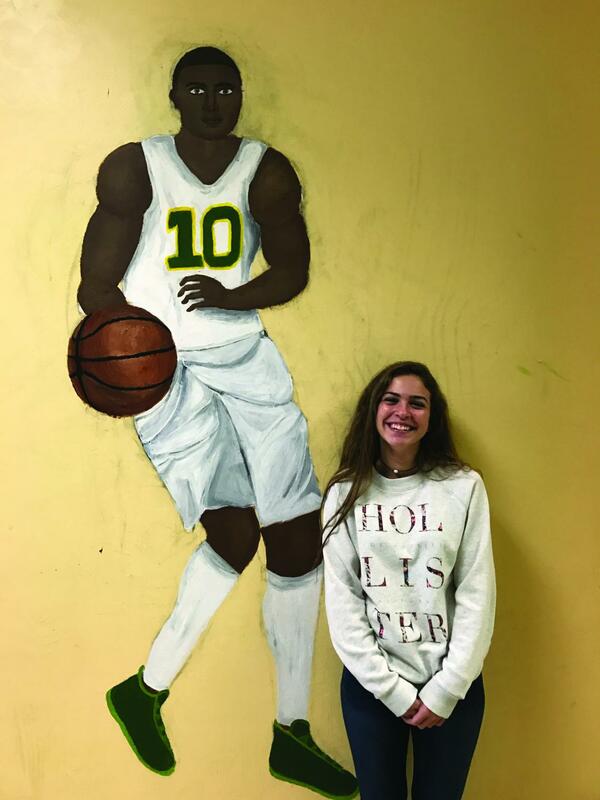 In 2015, a couple of art students started drawing athletes in the gym hallway between the locker rooms and the gymnasium. This project consisted of five different murals of different athletes ranging from a lacrosse player to a football player. 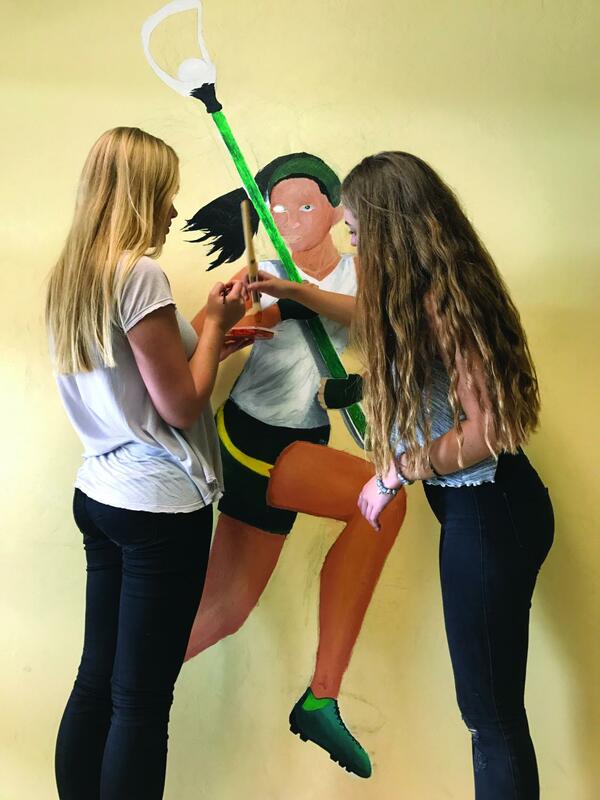 Throughout the last two years several different people have been working on the murals, but now Gabriela Rochelle, Claudia Valdes and other IB art students are working to finish up some of the athletes. This project is expected to be completed in the next couple of weeks. “We started working on the murals sometime around September,” Valdes said. Working on the murals has required a lot of time and hard work to complete them. The artists dedicate a couple hours a week during art class painting the murals. I’ve helped draw on the athletes faces and even up the skin tone on their legs and arms,” Rochelle said. Though these students working on them now are not the artists who started the murals, they are now completing the unfinished athletes. The project all started when art teacher Monica Sweeney reached out to an organization called Donors Choose, asking for funding to help the art program purchase more art supplies. of my students’ drawings to show how talented they were, but I didn’t have money for the paint,” Sweeney said. Sweeney was able to receive donation from five donors which allowed for the art students to start working on the murals. “I got $500 in donations which helped fund it. Which was nice because I had to get all new brushes and paint. It was very helpful,” Sweeney said. Finishing the murals has not been a simple task for the artists. “It can be a bit nerve racking at times but acrylic paint is easy to cover up and fix. The hardest part is probably making the different skin tones for each individual,” Rochelle said. Though it may be hard work and worrisome at times for Rochelle and Valdes when trying to fix the murals, the artists believe that finishing up these paintings has been a rewarding process. “I enjoyed working on the murals because it was a new challenge to face and take on in art,” Valdes said. “I think it’s a relaxing way to end off the day and it’s cool to have your own work permanently on the walls of Suncoast,” Rochelle said. The two artists like being able to express themselves through art in a way that they hope other students will be able to see and get to enjoy when walking through the hallway. “I think the ones that are completed look amazing; it was awesome seeing them transform from what they were to what they are now,” Valdes said. donors can see the finished projects.“I am eventually hoping to get again more money for the mural in the back because it’s expensive, Sweeney said. After that she hopes to receive more funding in order to initiate a new art project such as painting more murals in the outdoor area behind the art room.